Vintage Egyptian Old Postcard. Africa Egypte Egypt. Alexandrie Alexandria. 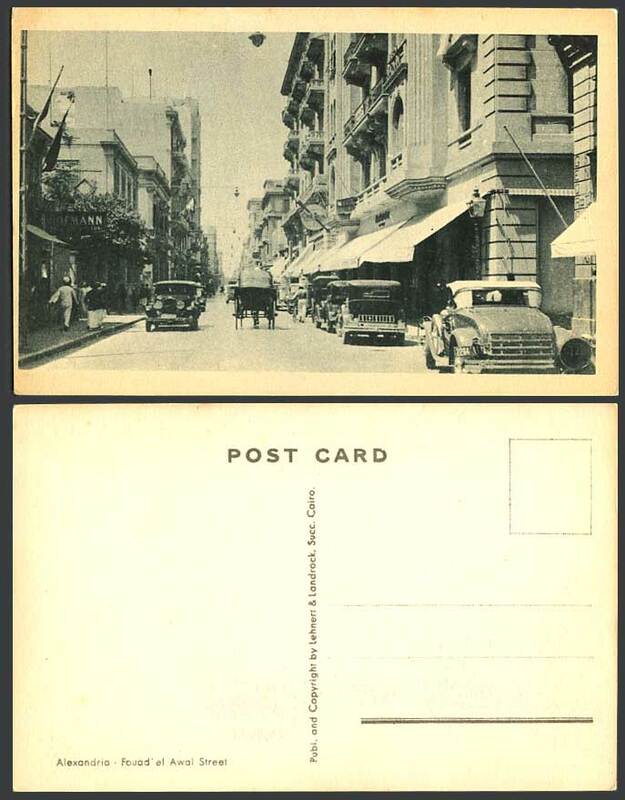 Fouad el Awal Street Scene, Vintage Motor Cars & Shops. Background: Located on the Mediterranean Sea coast, Alexandria (in Arabic, الإسكندرية � al-Iskandariyah) is the chief seaport in Egypt, and that country's second largest city, and the capital of the Al Iskandariyah governate.